Thank you for visiting our website. 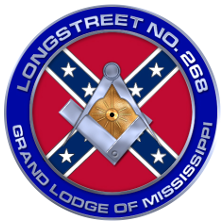 Longstreet Lodge No. 268 has a long and rich history – one that we would like to share with you. While we honor and respect our past we also strive to ensure that the morals taught within Freemasonry remains vibrant for the future. We hope you will enjoy the information we have to provide here and hope you will join in the discussion. Why do friendships that are made here last so long? Is it the words that we memorize and say over again?